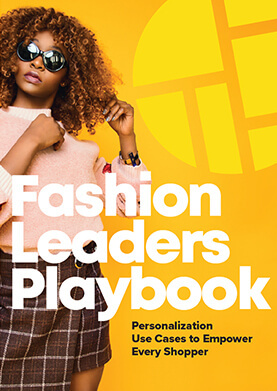 The Fashion Leaders Playbook is the quintessential resource for those in fashion and apparel. Based on Dynamic Yield’s client success stories, the strategies, techniques, and use cases included were specifically designed for fashion retailers to make the biggest impact — no matter who the shopper, no matter what their style. Download this free guide and win the hearts and minds of shoppers everywhere.